Well known Jackson and Butts County businessman and farmer, Claude Newton Maddox, Sr., age 89, passed away Sunday, February 11, 2018 at his residence. He was born April 13, 1928 in Butts County son of the late Franklin Leonard Maddox and Frances Beatrice Maddux Maddox. He served in the U. S. Navy during WWII and was in the Georgia National Guard. Claude was a graduate of Jackson High School, attended Abraham Baldwin College and the University of Georgia with a degree in Animal Husbandry. 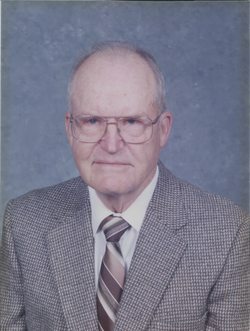 He was a former member and Vice Chairman of the Butts County Board of Education, member of the Butts County Zoning Board, a former member of the Board of Directors of the Jackson National Bank and the C & S Bank of Jackson .He was a member of the Jackson United Methodist Church where he had served on the Board. Claude was a former Farmer of the Year for Butts County. Survivors include his wife, Barbara Bittick Maddox, sons, Claude Newton Maddox, Jr. (Lynn) and Franklin Cary Maddox (Lorraine) both of Jackson, GA, daughter, Katherine Maddox Murray (Waring) of Lawrenceville, GA, 10 grandchildren, 5 great grandchildren and several nieces and nephews. He had a daughter, Frances Maddox Strickland who passed away in 1990. In lieu of flowers you may make a memorial donation to the Jackson United Methodist Church or CERF at P.O. Box 1880, Jackson, GA 30233 or IPSA, Inc. (Initiative to Prevent Sexual Abuse, Inc.), P. O. Box 1434, Jackson, GA 30233. Haisten Funeral Home of Jackson is in charge of arrangements for Claude Newton Maddox, Sr.